Andreas, for starters I would like to ask a couple of questions about you. When did you start your own career in logistics? Why did you start in logistics and not in, say, banking or other industries? What is it that you like about logistics? I started in logistics in 1982 as a trainee directly after graduating high school. Like most Germans, I participated on a dual education trainee program which took three years. Two days a week I was in school, three days with the company. Actually, I wanted to work in rail but at the beginning of the eighties, Germany was in a recession and the German railways stopped hiring. So, I thought of working for a forwarder as also being transport-related and when I got an offer for a trainee programme I end up in logistics. In logistics I’m always facing new challenges and I also enjoy organisation. Additionally, it is international business and I get to interact with people from all over the world. Of course, travelling is always a highlight. SIS Logistik is well respected, according to my sources, for reliability. What more you can tell us about the company? What is its main line of business nowadays? Can you also enlighten us about the history and ownership of SIS? SIS Logistik was founded in 2001 by four leading workers from another company that went bankrupt, despite having a solid client base. The idea was to keep some of the customers on board and that went well. In the beginning, the main business was trucking and rail to Russia and C.I.S. countries, as well as chartering small vessels or part-charter for specific customers sourcing bulk materials, mainly from the USA and UK. 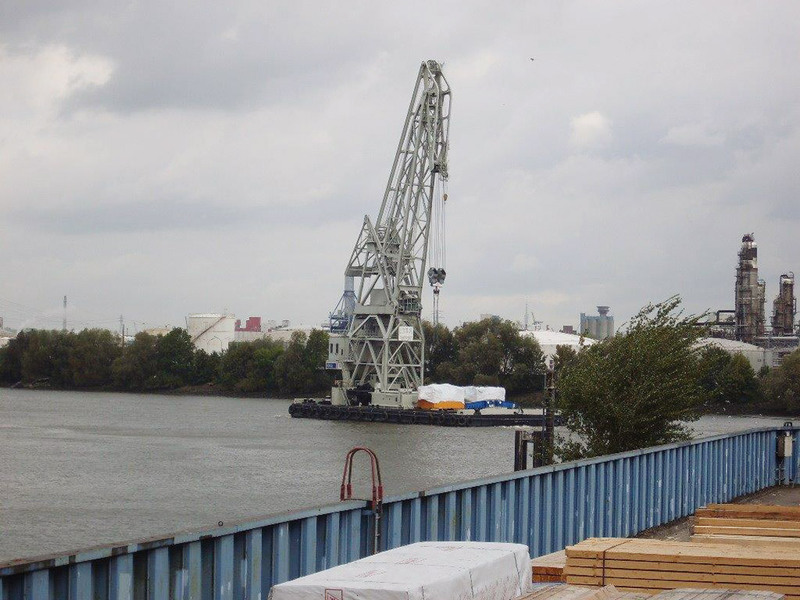 This was along with providing a bulk warehouse to distribute materials by barge, truck and rail to different factories in Europe. Certainly, we also offer FCL/LCL/Air and trucking within the EU, but we never focused on our own LCL containers, air consoles or truck groupage. 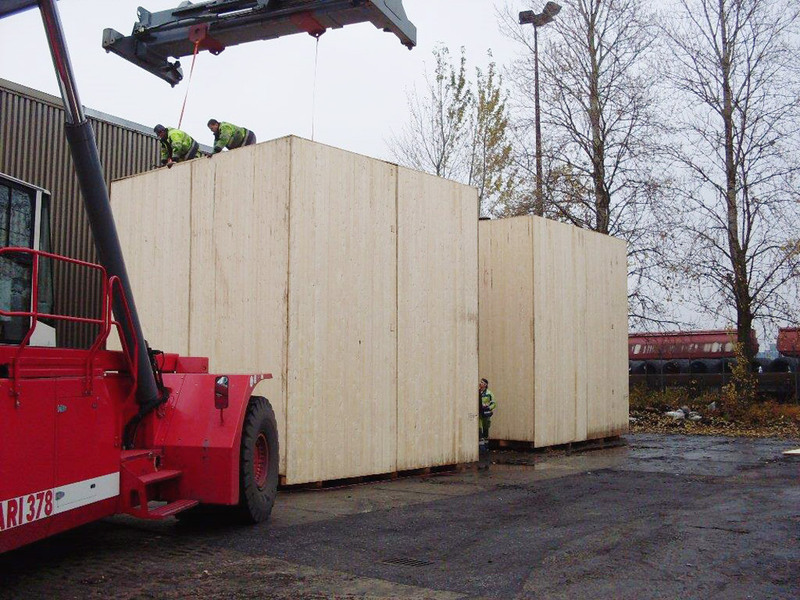 One of our inherited customers regularly sent oversized machines, therefore we gained experience in OOG cargo. We have been able to extend this business continuously. Last but not least, we have a department offering logistics solutions for fairs and events around the globe. 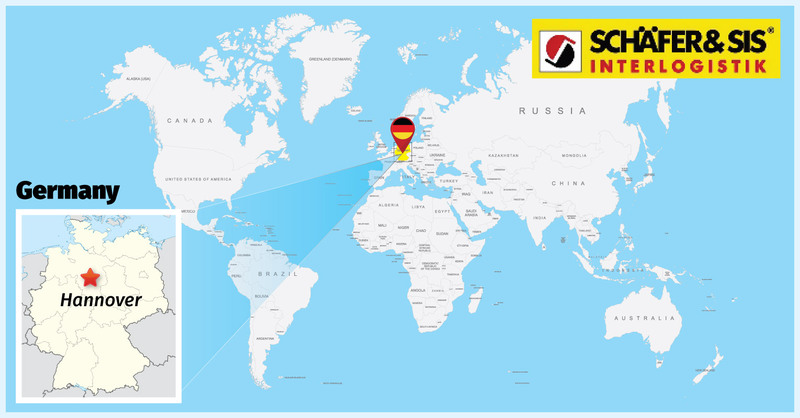 The shareholders of SIS Logistik GmbH are now either the four founders or their heirs and SIS Internationale Speditions GmbH is a member of the S-Group. Can you provide inland transport in Germany? 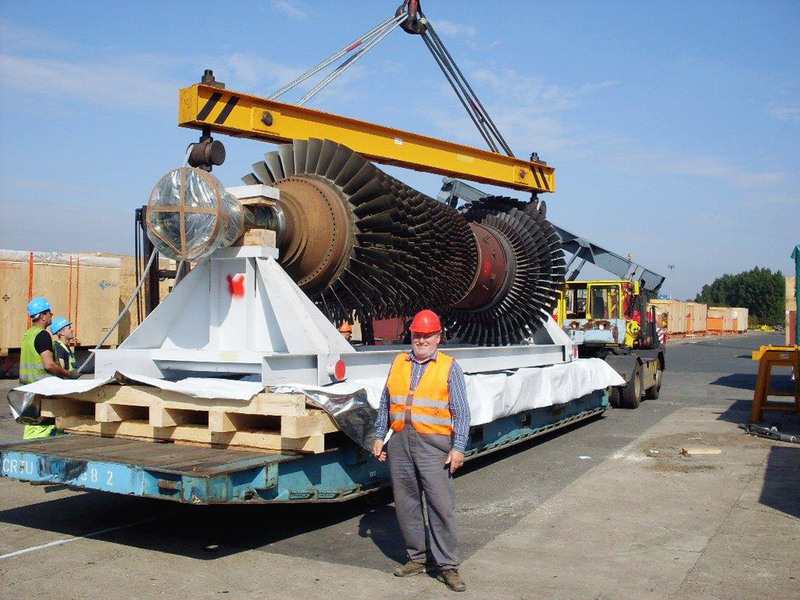 Could you provide us with some examples of project cargo that you have handled either to/from overseas or to/from inland? 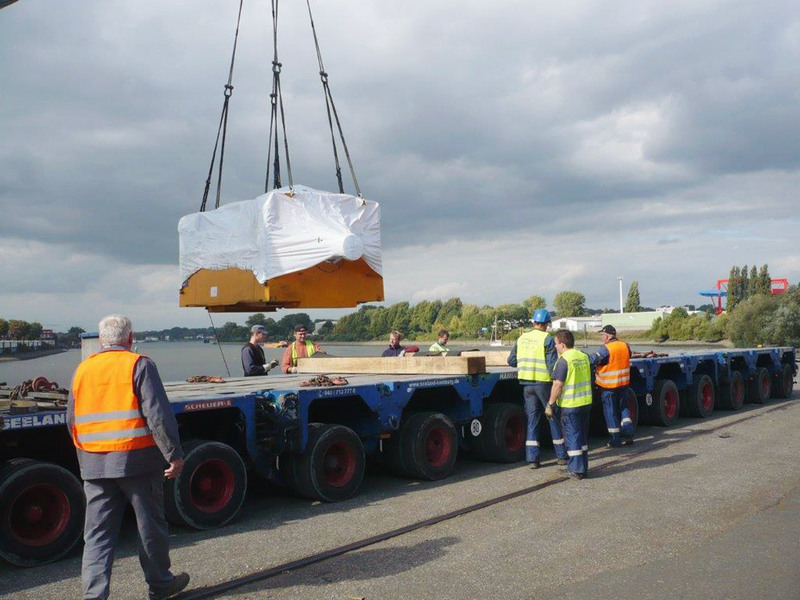 We offer inland transports in Germany from urgent small top parcels all the way up to project cargo. As mentioned already, our business started with bulk solids and we charter barges or block trains regularly to get the cargo from the warehouse to the factories. For one customer, we also worked out a logistics solution to get their bulk cargo from the vessels in Port Klang to their brand-new factory 50km away. This was considered pioneering as this cargo is quite expensive and easy to contaminate and nobody in the port had handled this cargo before. 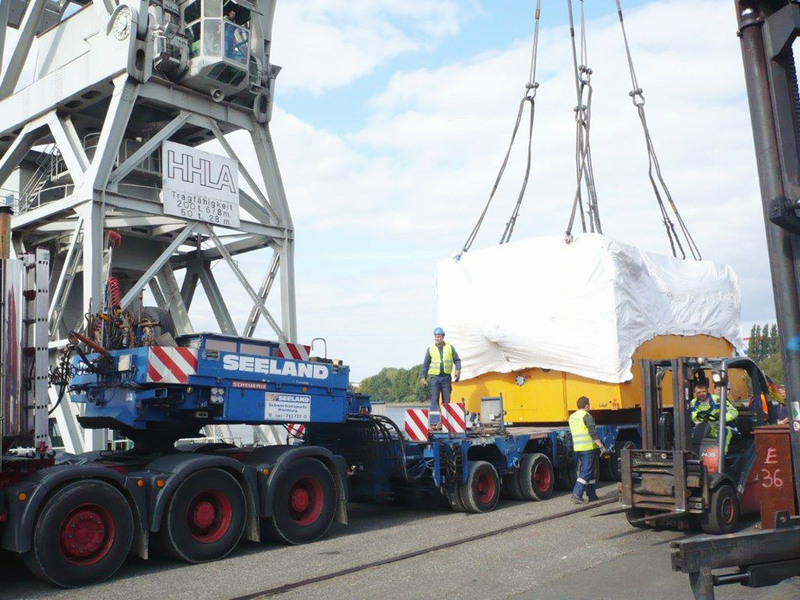 Also, we regularly send machinery up to twenty-one meters long from Germany mainly to the U.S.
One highlight was also a diamond press from Germany to the Isle of Man, which was quite a big task even for us. Even now that’s the only shipment I’ve sent to that ‘exotic’ destination. From our point of view, project cargo doesn’t need to be necessarily OOG. We’d also consider getting sixty containers into an exhibition hall or to an event in a very specific timeframe to be a project. This won’t work without personally being at the venue, so we regularly ensure this too. I believe you need permission to move OOG pieces by road in Germany or greater Europe. Is that time consuming to obtain? Do you have any good rules of thumb that our overseas readers should know about when overseeing a larger project to/from mainland Europe? There are some strict traffic rules in Germany and Europe that we have to follow. In Germany for example, the maximum dimension and weight for a truck, including its cargo, is 250cm width by 400cm height and 40 tons. Length varies a bit depending on the truck. If the width is, for example, between 250 cm and 300 cm many truckers get permission for a longer period and usually no time-related problems occur. However, if the dimensions are more exceptional, we have to apply for a specific permission. Unfortunately, the traffic authorities in Europe are not centralised but separated by countries. Each and every country involved will have to participate in it. Worst case scenario, it could go through five or six countries and if it is an export ocean shipment, either Bremen or Hamburg is involved, and these authorities are not very fast. Therefore, at the moment this process could easily take three to four weeks. Do you have your own offices abroad or do you operate with partners? How do you generally find overseas partners? We have our own offices in China, India and Russia. In other countries, we work with long term partners. Networks like CLC Projects are a big help when it comes to finding reliable partners. Germany is well known for many things. What places would you recommend that visitors (as tourists) should see when coming to Germany? The places you’ll see in a typical German tourism brochure are mainly in Bavaria and all of them are worth visiting, but they’re also very crowded nowadays. Germany is a place of diversity and Bavaria in the south is totally different from Lower Saxony in the north or Brandenburg in the east, for examples. If you want to go off the beaten track, I would suggest visiting smaller cities which very often have cosy old-town areas and a vibrant nightlife. I should mention Freiburg im Breisgau, Tübingen, Dresden, Bonn or Lüneburg. If you like nature, the Harz mountains, Rhine, Mosel and Elbe river valleys are nice places to go, as well as the Rugenia Islands. If you are interested in the industrial heritage, I would suggest going to the Ruhr Area, which offers many lively museums related to the coal and steel industry that were very dominant in the past. People who like to visit clubs, bars and pubs until the early morning will enjoy Berlin, Hamburg or Düsseldorf. How is best to get in touch with you?